Solid carbon blocks, which were first introduced in the early 1970’s, are one of the most effective and widely used technologies in the Point Of Use (POU) drinking water treatment industry. Solid carbon blocks, or simply carbon blocks, are employed either as standalone treatment methods or in conjunction with other filtration technologies. While seemingly simple at first glance, there are many factors to evaluate when designing and manufacturing an efficient carbon block water filter. This solution guide addresses the key points a buyer should consider in developing filter specifications and selecting a supplier. Activated carbon has proven to be ideally suited to filter tastes, odors and contaminants from water. Activated carbon is a form of carbon that has been processed to increase the porosity of the individual granules, resulting in a large surface area available for adsorption. A larger surface area is an important factor in the adsorption of contaminants because it provides a better environment for the assimilation of dissolved matter. Carbon’s relative low cost and wide availability make it an excellent media suitable for a broad range of applications. Activated carbon is utilized in water filtration in two basic forms: Granular Activated Carbon (GAC) and carbon block. Both forms use carbon that has been ground into small particle sizes. The source carbon for GAC is ground to particles that are smaller than 0.84 mm but larger than 0.30 mm. To produce carbon blocks, the particles are ground further into “fine mesh” that is 7 to 19 times smaller than GAC (0.045mm~0.18 mm). 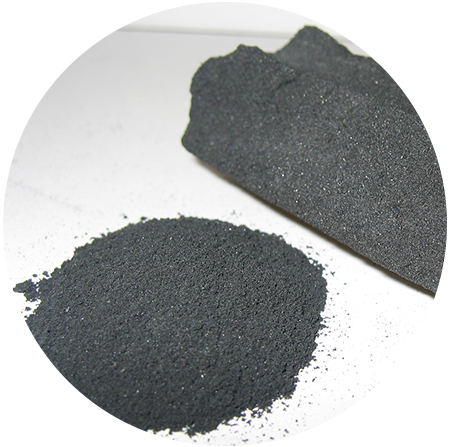 Carbon block is mainly comprised of activated carbon granules and a binding agent that allows the carbon granules to maintain a static position relative to each other. Carbon block immobilizes carbon particles to promote uniformity of performance, stopping water from channeling, which is common with GAC. GAC typically is packed in a loose bed that is contained in an enclosed cartridge or pressure vessel. Water flows through the loose column of carbon, taking the path of least resistance. Carbon block is formed into a cartridge of predetermined dimensions. The use of end caps forces water to flow through the carbon block’s static pores. It is this uniform pore structure between the individual granules of carbon that enable carbon block to achieve higher effectiveness in contaminant reduction. The uniform pore structure of carbon block also increases the contact time with the filter media, further increasing the block’s ability to remove contaminants. to remove or reduce impurities with much shorter contact time. Also, the smaller form factor allows carbon block manufacturers to produce high performance water filters in much smaller and more diverse product designs. The smaller particle size and uniform pore structure of carbon block provides a high level of effectiveness in a much smaller size than a GAC at the same flow rate. For this reason, GAC typically is used as a treatment method for aesthetic contaminants (removal of taste, odor and color). Carbon block filters go beyond the aesthetic improvement of water by reducing particulates, microscopic cysts, lead, volatile organic chemicals (VOCs), andother contaminants. eliminates carbon fines during the ongoing operation of the filter. A further advantage of carbon block over GAC is that the pore size of the block can be controlled to a small enough size as to virtually eliminate bacteria growth inside the filter. A loose bed of carbon can provide ample room for bacteria colonization. Overall, carbon block is a better choice in water filtration applications becauseit is highly effective in removing contaminants, its low relative cost, compact size, use of renewable resources, small form factor, and resistance to bacteria growth. Carbon block water filters employ three processes to remove or reduce contaminants from drinking water. The most obvious filtration process is known as mechanical filtration. Mechanical filtration works like a sieve, where particulates with a larger physical size than the pores of the filter are strained out. Carbon blocks can mechanically filter particles as small as one-half micron (submicron). Another filtration process used in some carbon blocks with a specially designed outer wrap is known as electrokinetic adsorption. This process works as water passes through the outer wrap, which causes the material in the wrap to acquire a positive molecular charge that attracts negative ions of certain pollutants. Carbon block filters also utilize physical adsorption. This is the process by which the carbon itself attracts pollutants. Activated carbon particles have a very large surface area to attract and hold pollutants. Specially formulated binders used in compressed carbon blocks can avoid masking the surface of the carbon, thereby optimizing its ability to reduce levels of pollutants. Carbon block is manufactured using one of two processes: extrusion or compression molding. Extruded carbon blocks are manufactured using a mixture of carbon, binder and other media that is forced through a die to form a continuous block. The block is then trimmed to size. needing less binder material to manufacture a cohesive carbon block. Beyond simply requiring less binder, another advantage of compression molding over extrusion is the broader array of binding materials from which to choose. Due to the greater temperatures and pressures employed in the compression molding process, specially formulated binders that are more porous may be used to prevent the binder from masking the carbon’s inherent porosity. This yields a more efficient use of the material, resulting in superior performance and increased capacity when comparing same sized blocks. One final difference between the two manufacturing processes is that compression molding of carbon blocks provides more variability in filter shape, which adds greater flexibility to product design. Carbon block filters go beyond the aesthetic improvement of water by reducing particulates, microscopic cysts, lead, volatile organic chemicals (VOCs), and other contaminants. Carbon block water filters compare favorably with other technologies and often is used in conjunction with them. GAC filters generally have very high capacities for the reduction or removal of aesthetic contaminants such as poor tastes, odors or colors. For these reasons, GAC filters are referred to as “taste and odor” filters. However, GAC filters provide little contact time between the water and carbon so they function poorly for the reduction of contaminants of health concern. GAC filters serve well as pre-filters to carbon block filters or other technologies. They are best suited for high flow rate requirements, such as Point Of Entry (POE) applications, where the water does not necessarily need to be drinking water quality but improved quality for bathing and other uses. As the demand for quality drinking water continues to grow, new types of media will continue to be test marketed, from metal shavings to nut shells. Some materials can be quite exceptional in reducing a particular contaminant in the water, but there is a wide range of contaminants that need to be addressed – not just one or two. Reverse osmosis, or RO, is a technology that utilizes a semipermeable membrane to separate inorganic contaminants from water. RO has no independent ability to reduce levels of most VOCs. Most RO systems have very low output and can take several hours to produce only one gallon of water. The slow processing time for RO necessitates the use of a pressurized holding tank to store the processed water. The process of forcing water through the membrane also generates a stream of wastewater that typically runs to drain. The ratio of wasted water to treated water can be as high as 5 to 1. RO will remove minerals and trace elements essential to good health, resulting in product water with a low pH. Distillation is a process by which the water is vaporized and the steam is captured and condensed. Distillation also removes dissolved minerals and trace elements essential to good health. VOCs will not be removed in this process because they will vaporize and recondense into the distilled water. This process is time-consuming and can only produce a small amount of water in a day. Distillation also requires the use of electricity to power the system. There are a variety of raw materials used to make carbon block filters. Some of the most common sources of carbon are bituminous coal, wood, and nutshells. Bituminous based coal is plentiful and inexpensive. However, coal-based carbons can be contaminated with high levels of pollutants that can leach into water. Wood-based carbons can have an affinity for reducing specific contaminants. It is readily available and comes from a renewable resource; however the timeframe for a tree to mature can be years. nutshells, and specifically coconut shells, are an ideal source for the raw carbon used in drinking water filtration. Coconut shell carbon has a substantially higher micropore volume than other carbons, which provides a greater surface area and higher porosity. Activated coconut shell carbon provides about 50% more micropores than bituminous coal based activated carbon. This high porosity and surface area gives coconut shell carbon a much greater capacity to adsorb small organic molecules such as VOCs. Coconut shell carbon has other attributes that make it better suited to manufacturing carbon blocks. Coconut shell carbon is purer than other carbon sources because of its lower inorganic ash content. This results in carbon that is more consistent and can provide better quality control. Also aiding in manufacturing is the higher density of coconut shell carbon resulting in less dust and carbon fines. Finally, this carbon source is highly renewable and can be considered a “green” product. Palm trees produce coconuts throughout the year, with harvesting generally occurring every three to fourth months, and the tree is preserved to continue producing for many years. There are several factors to consider when evaluating the performance of carbon block water filters. One of the basic performance characteristics is the target capacity of the filter. Capacity usually is specified by the number of gallons or liters of water filtered before the filter needs to be replaced. The flow rate of the filter is determined by the number of gallons or liters filtered over a specific time of continuous flow (e.g., gallons per minute). Operating pressure also is specified for proper operation of a carbon block filter. The required pressure, measured in pounds per square inch (psi), is an important parameter to assure proper function of the filter. Filtration properties commonly specified are pore size and contaminant reduction objectives. Pore size typically is indicated in a micron rating, which represents the minimum size of particles to be mechanically filtered out of the product water. Contaminant reduction objectives not only indicate which specific contaminants need to be treated, but also the acceptable level of the contaminant after treatment. standards are based on reducing contaminants to below the Maximum Contaminant Level (MCL) established by the U.S. Environmental Protection Agency (EPA). NSF standards for drinking water filters have evolved beyond simply measuring the level of the contaminant before and after filtration. Testing standards also dictate the sample water characteristics, such as pH, temperature, and levels of commonly occurring minerals like calcium and magnesium. The standards dictate testing and sampling procedures as well. These standards assure that the filter will perform under “real world” water conditions. 53 is referenced for filters that reduce levels of contaminants of health concern (e.g., lead and arsenic). Water filtration product certification is voluntary except in a handful of states. California, Wisconsin, Colorado, Massachusetts, and Iowa have their own certification requirements for water filter performance, and these requirements are mandatory. Certification requirements also exist internationally. Drinking water filter performance certification can be one of the most valuable tools for the consumer to objectively compare competing products, and for manufacturers to validate and promote their water filter product performance claims. determines the wall thickness. This critical measurement helps determine the contact time between the water and the carbon because water flows radially through a carbon block. There also are other design characteristics important to the overall performance of the carbon block filter. End caps on both ends of the carbon block cylinder help guarantee that water is forced through the carbon. The end caps also ensure that the carbon block filter cartridge seals properly within the housing. An outer wrap of a synthetic fabric often is used both to aid in prefiltration and for aesthetic purposes. An inner wrap also can be used to help minimize carbon fines from entering the product water. Finally, the housing of the filter system needs to have specified characteristics relating to managing water pressure and flow rate requirements. Carbon block filter cartridges are readily available in sizes and configurations standard to the drinking water treatment industry. The most common size of carbon block cartridge measures 9 ¾” long by 2.5” wide, and is known as a “standard 10 inch” filter. However, there are other options beyond the industry standard sizes that may better serve a water filter manufacturer’s design and marketing objectives. Many drinking water filters, including some carbon block filters, include a Performance Indication Device (PID) to help aid the consumer in properly maintaining the system. PIDs for carbon block filters measure actual water usage and notify the consumer when it is time to replace the filter cartridge. NSF certification requires that filter life claims cannot be greater than 50% of the actual tested capacity. This means that the filter effectively will reduce its specified contaminants for twice the capacity indicated on the labeling and literature. This requirement serves to give the consumer ample time to replace the filter element without risk of compromising their health. The exception to this practice is when a PID is used with a filter system. NSF allows for the product labeling to indicate 80% of the tested capacity with the use of a PID. For example, a filter system certified to reduce lead for 750 gallons, but was successfully tested to 1,500 gallons, can claim 1,200 gallons with the use of a PID. The PID provides higher filter utilization and controls cost while ensuring the filter stays within its design limits. Custom carbon block filter design offers a variety of advantages. A custom cartridge offers added flexibility in housing design. Because water conditions vary so widely, it is easier to adapt a custom filter to the environment in which it is intended to be used. To this same end, a custom carbon block can be optimized for specific performance and contaminant reduction objectives. This option also allows more options in raw material selection, giving the buyer greater control in balancing cost and performance. Custom carbon blocks also can provide the water filtration system manufacturer with greater control of the overall design of the finished product and the associated revenue stream coming from replacement filters. Most importantly, a custom design and private labeling grants exclusivity to the follow on replacement filter business. When sourcing a custom carbon block product, the buyer needs to consider several factors. The buyer should consider if the carbon block manufacturer has the knowledge and experience in the industry to help guide the design of the product. Also, is the manufacturing process utilized by the supplier the best fit for the buyer’s needs? Considerations valid for any buyer/supplier relationship are whether the supplier has a strong reputation in the industry and if the supplier is financially stable. A prospective custom carbon block buyer should look for a manufacturing partner that offers flexibility in the design process, rapid prototyping capabilities, and consistent quality control processes. A strong supplier will have highly scalable manufacturing capacity to meet wide ranging production requirements. If the final product is intended to be tested and certified to NSF/ANSI standards, the buyer should choose a partner with experience in navigating the often tedious process of obtaining product certification. Finally, the buyer should select a manufacturing partner that is committed to meeting and exceeding the needs of the buyer throughout the business relationship, from design to final certification and beyond. Founded in 1970, Carbon Block Technology, Inc. (CB Tech) is committed to being the premier supplier of high quality drinking water treatment devices and providing people around the world with the best quality of drinking water available at an affordable price. Utilizing CB Tech’s unique Solid Carbon Block filter technology, the company produces NSF certified water filtration products that are proven to reduce the widest range of contaminants of health concern when compared to any other carbon block filter in the market. 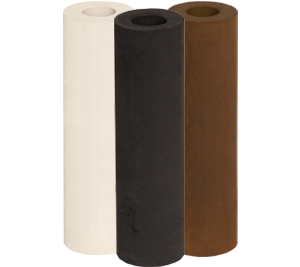 Today, CB Tech is an industry leader and one of the world’s largest manufacturers of compressed solid carbon block filters. CB Tech is a custom contract manufacturer of drinking water systems and filters distributed under the labels of the many companies it supplies, as well as those marketed under its own brand, CB Tech Drinking Water Systems. Download your FREE copy of CB Tech’s Carbon Block Buyer’s Guide.